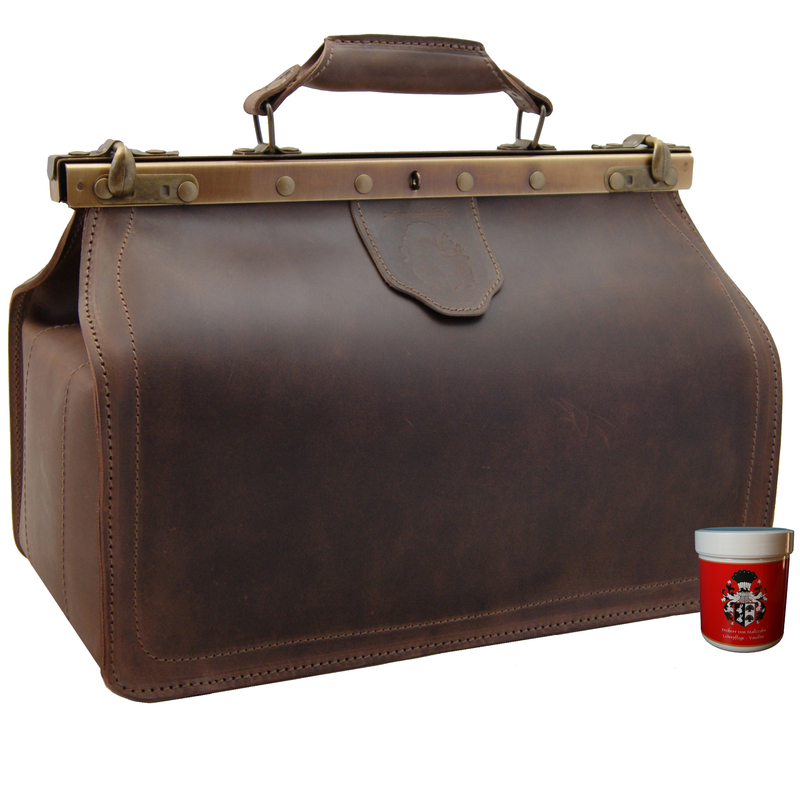 Product information "Doctor's bag PARACELSUS of brown organic leather"
The doctor’s bag PARACELSUS made of brown organic leather offers you much storing room and a long durability. This high grade bag easily withstands the hard daily routine of every midwife: The robust material provides a long durability and on the inside you will find enough room for your important belongings. 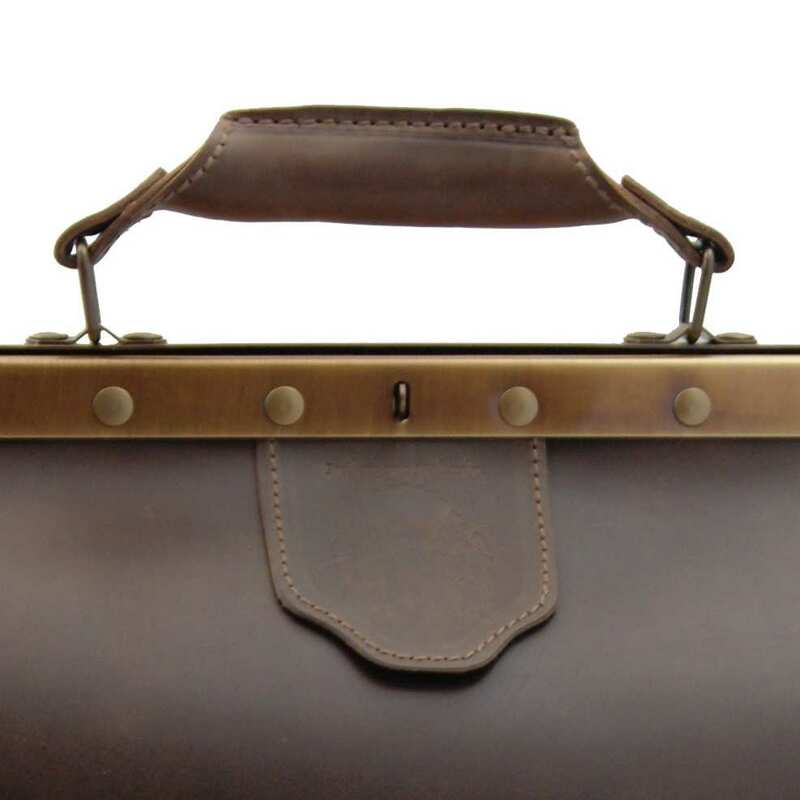 The most beautiful detail of this product is its fabulous design: The midwife’s bag PARACELSUS made of brown organic leather looks like a historical medical bag: a truly pleasant eye-catcher. The practical advantage of this bag in everyday life is obvious: The inner compartment opens to a small space miracle with dimensions of 15.7 x 8.7 x 8.1 in (40x22x20.5 cm). The up to 2.7 mm thick quality leather resists all demands of the daily routine. All in all the high grade material quality and the accurate manual processing offer an unusually long durability: This way you won’t need a new bag in a very long time. The doctor’s bag PARACELSUS consists of pure organic bovine leather and has been produced in genuine handicraft, dyed-through and greased. Every bag is a true unique piece made in Saxony (Germany). By its usage, individual color nuances will appear and increase the personal value of your medical bag by making it even more individual. 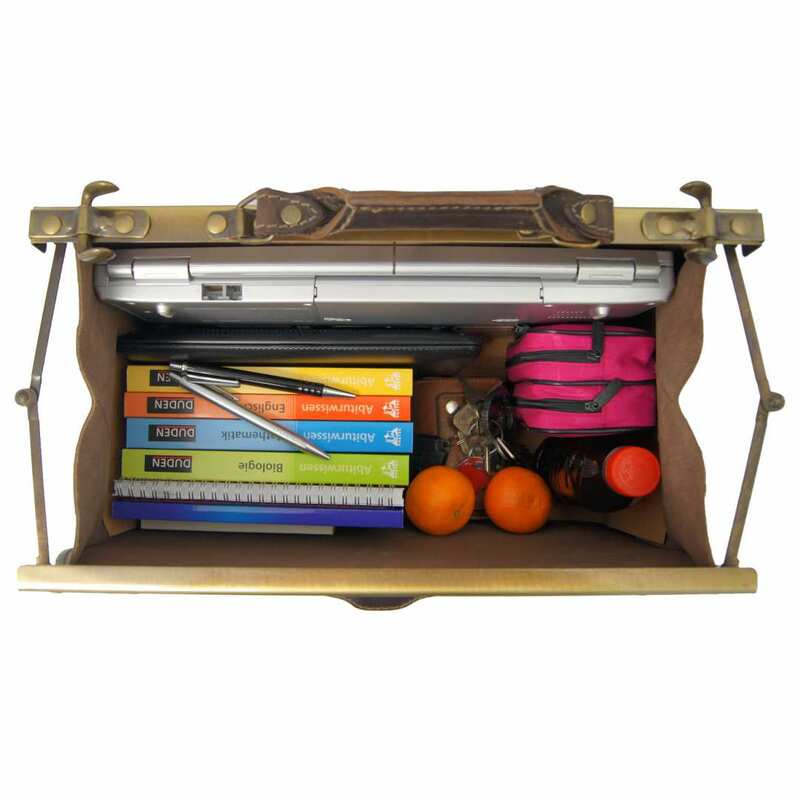 Midwife’s bag PARACELSUS made of brown organic leather – with a padlock for free! The bag has a prepared eyelet for the appropriate padlock you will get for free with the shipping: This way, the valuable contents you store in the medical bag won’t ever get lost. Don’t forget that the pieces of the Collection BARON of MALTZAHN can be delivered to any location!. 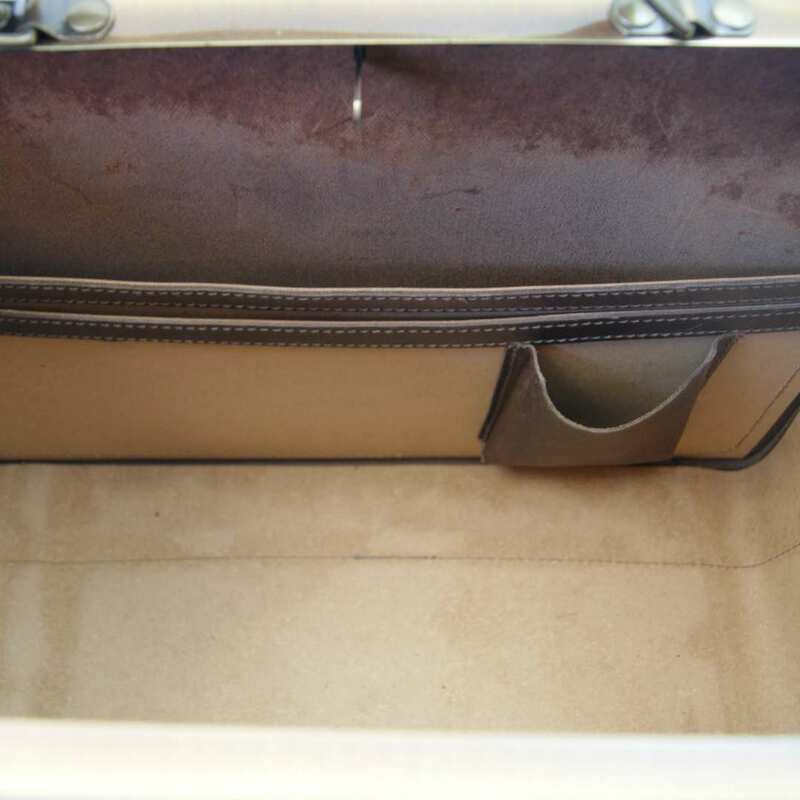 Already by now you may be looking forward to your genuine quality leather midwife’s bag PARACELSUS made of brown organic leather, only produced in Germany. 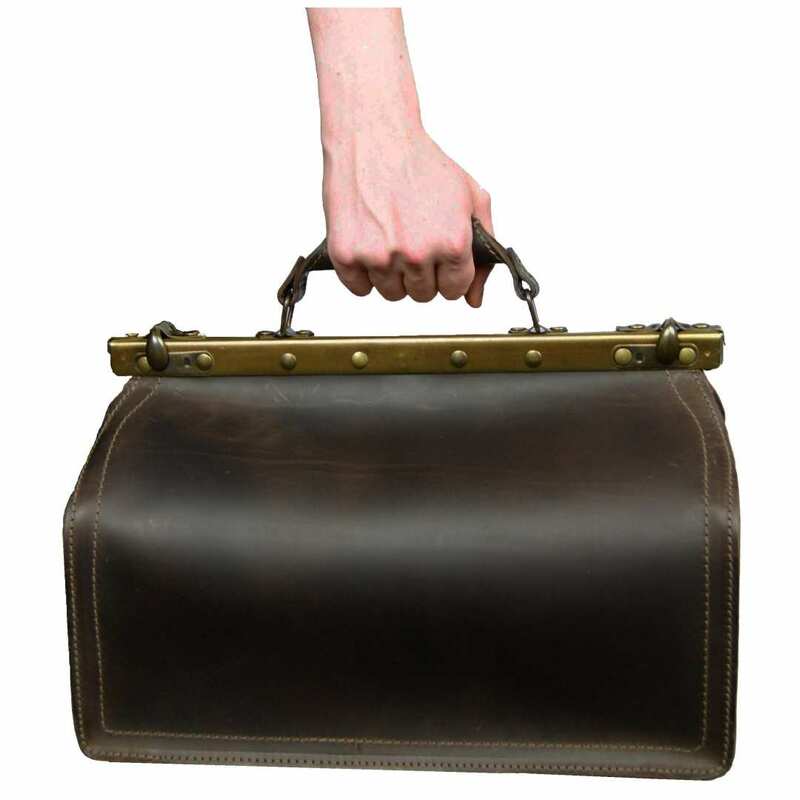 Reviews for "Doctor's bag PARACELSUS of brown organic leather"